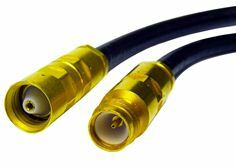 Leading international manufacturer of components and systems for optical and electrical connectivity, HUBER+SUHNER, will be launching its PSM connector series that optimizes size and power handling characteristics for space flight, high-altitude platforms and TVAC environments, at IMS 2018, June 10-15. At IMS 2018 the PSM portfolio will be on display featuring connectors for mini141H, SUCOFLEX 329 and semi rigid .141 cables, flanged panel mount surface mount connectors and adaptors within and in between series. The PSM connector portfolio, alongside an extensive range of connectivity solutions from HUBER+SUHNER will be on display at booth 1116 at IMS 2018, June 10-15 at the Pennsylvania Convention Center in Philadelphia, PA.